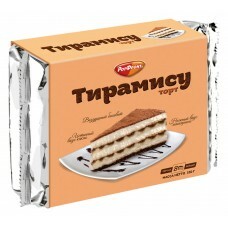 Cake Layers "Napoleоn - Cheroka"
An important part of every cuisine is of course desserts and sweet dishes. Russian dishes are very rich and inspired by surrounding countries, so some of the sweets might be similar to others from different countries. The recipes can also vary from one part of Russia to another, but the traditional basic ingredients remain the same. Even if you are an adult you still remember the feeling of stepping into your grandmother’s kitchen and smelling freshly baked pastries. People in Russia mostly enjoy their desserts with tea in a family circle. Ptichye Moloko was created by Vladimir Guralnik in the 1970s, a famous Russian confectioner from the Praga restaurant in Moscow. Its taste is similar to the famous Viennese Sacher torte, but the recipe features different ingredients based on butter and condensed milk, and it requires four different sorts of cream, some laced with brandy and other liquors, and the pastry layer is soaked in rum, but the secret ingredient is agar-agar, a gelatin-like substance made of boiled seaweed that creates an airy consistency of a light mousse or soufflé, rather than a dense concentration of most marshmallows. 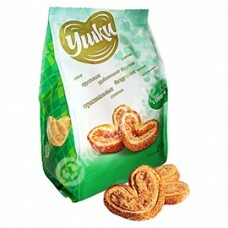 Pryaniki is an original Russian sweet made in the city of Tula and prepared with rye flour mixed with honey and berry juice. Known also as “honey bread” or “spice bread” this sweet is simple gingerbread, but with the particularity that it comes from the altered recipe that includes various spices like cinnamon and cardamom that became more used and popular in Russia since the 13th century. In the modern alternative recipe, the inside of the dessert is also filled with jam or condensed milk. The dessert called Zefir is really soft and delicate and it will melt in your mouth, like a soft and gentle breeze. 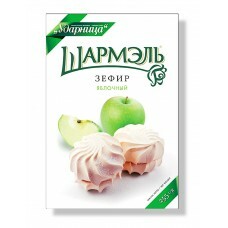 This sweet is made out of apples, sugar and egg white, all combined together with agar or pectin to hardener the mix, with the result of a white cloudy color and a delicious sweetness. But the Zefirs have a lot of different versions depending on the pureed fruit that’s inside. The two main types are in a chocolate coating and the pure one, both of them are really popular, but they can also be made with vanilla, cranberry, strawberry, cherry, orange, and Crème brûlée sorts. Ponchik is a Russian cousin of American donut and it is custard-cream filled chubby donut sprinkled with icing sugar. These fluffy sweets taste great with a tea or a coffee. Syrniki are tiny fluffy pancakes made of flour, farmer’s cheese and sugar, and they should be golden and crispy on the outside and creamy on the inside. 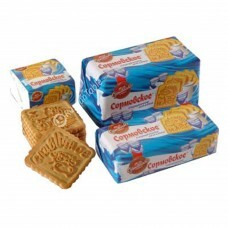 Try to eat them with jam, sour cream, honey or fresh fruit and you will be delighted by the taste. If you are a fan of honey, you should definitely try Medovik. This honey layer cake combines honey and sweet cream and its soft structure will make you fall in love with this cake instantly. 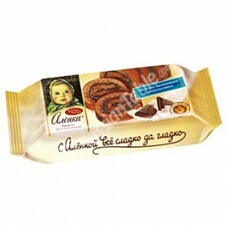 There are many other great Russian desserts such as Napoleon, Sharlotka or Poppyseed log, so don’t hesitate and try them all. You won’t regret.